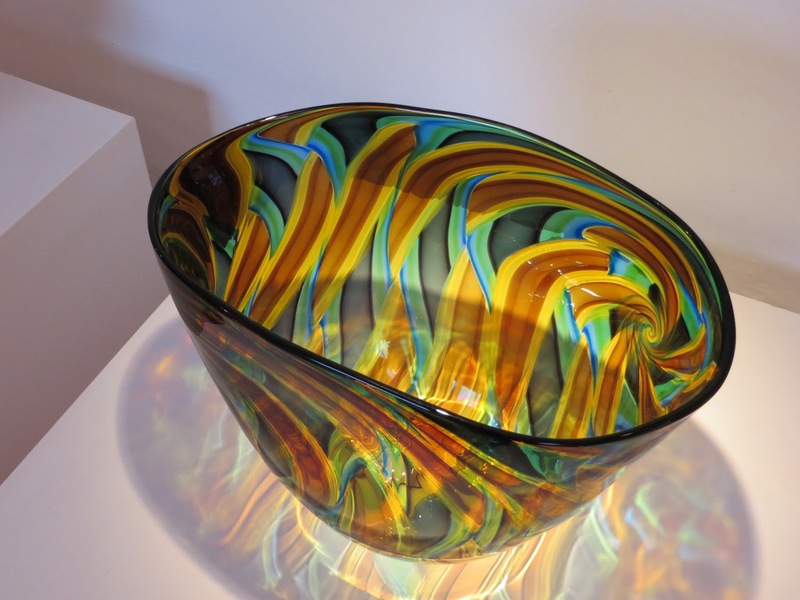 Bob Crooks is one of Britain’s most highly recognised leading glassmakers. Renowned for his high quality, skilfully executed dynamic forms and surfaces, he has been producing glass objects for the last twelve years. Jurassic Bowl is his latest. His work has been exhibited at International level and in noted exhibitions in Italy, China, Scandinavia, Australia and the USA, as well as in many exhibitions in the UK. Each piece is designed, handmade and finished: no moulds are used to create the forms or surfaces achieved. The pieces are inspired by Geometry, Architecture, the Natural and Man-made, as well as the qualities and capabilities of the glass itself. The Bob Crooks glass workshop is next to Thelbridge Cross Inn on the B3042 east of Tiverton, Somerset. The Bowl is on display in the Glass Gallery. The Friends funded the £1,525 cost of the Bowl in full.